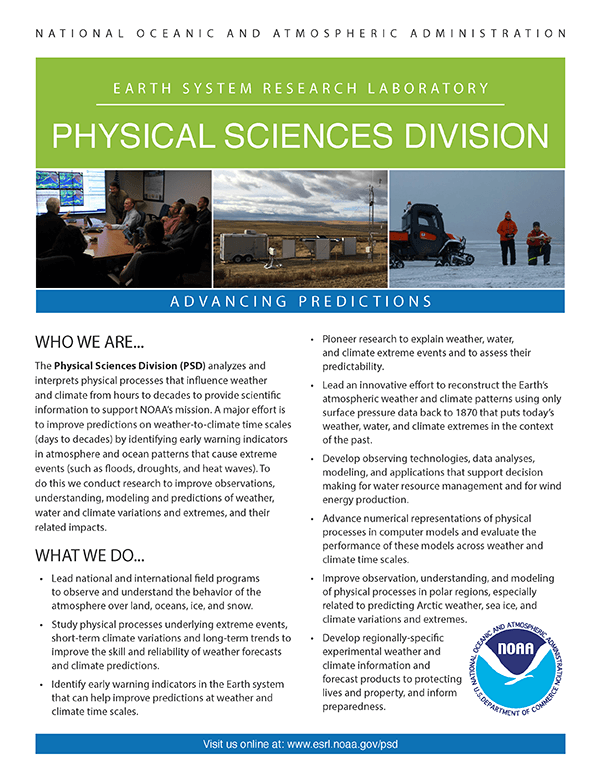 PSD analyzes and diagnoses physical processes that influence weather and climate, to better understand and make predictions on global-to-local scales. 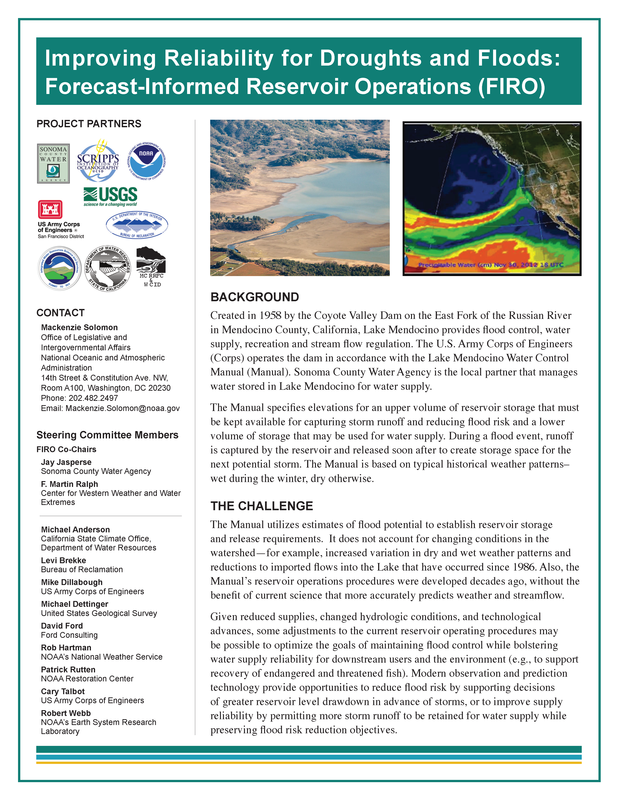 Since 2008, ESRL has partnered with the California Department of Water Resources to address water resource and flood protection issues. 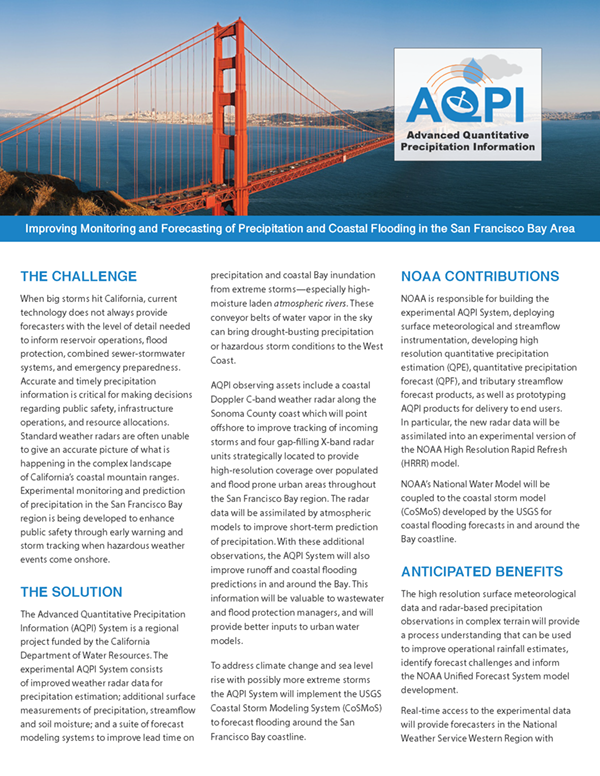 Improving monitoring and forecasting of precipitation and cloastal floding in the San Francisco Bay area. 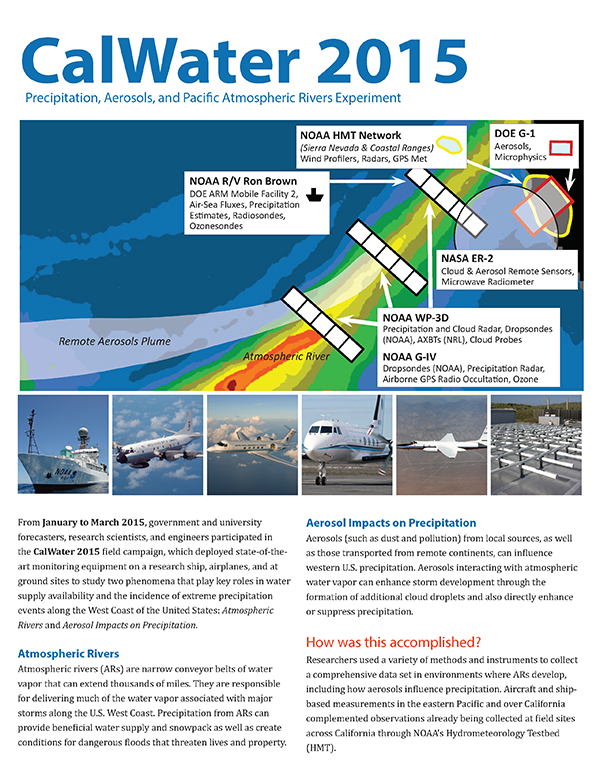 Narrow corridors of concentrated moisture transported in the atmosphere are a key process linking weather and climate. 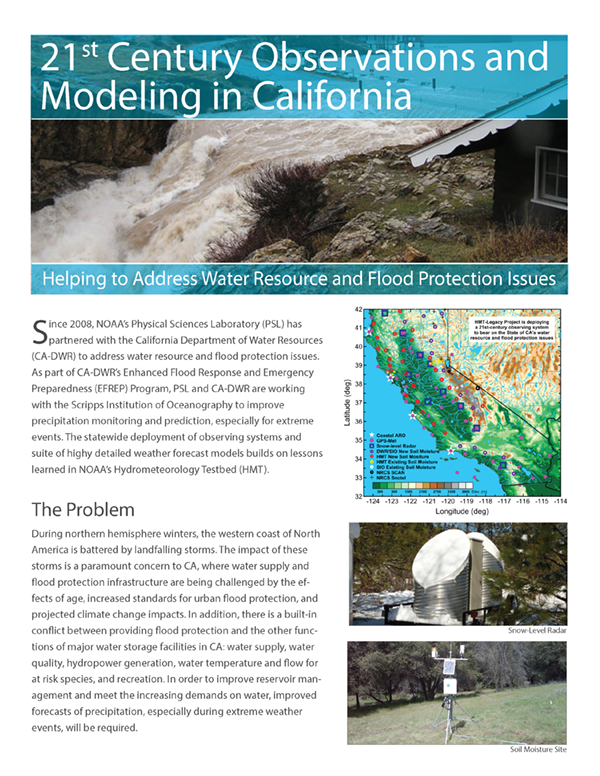 A study of phenomena that play key roles in water supply availability and extreme precipitation events along the US West Coast. 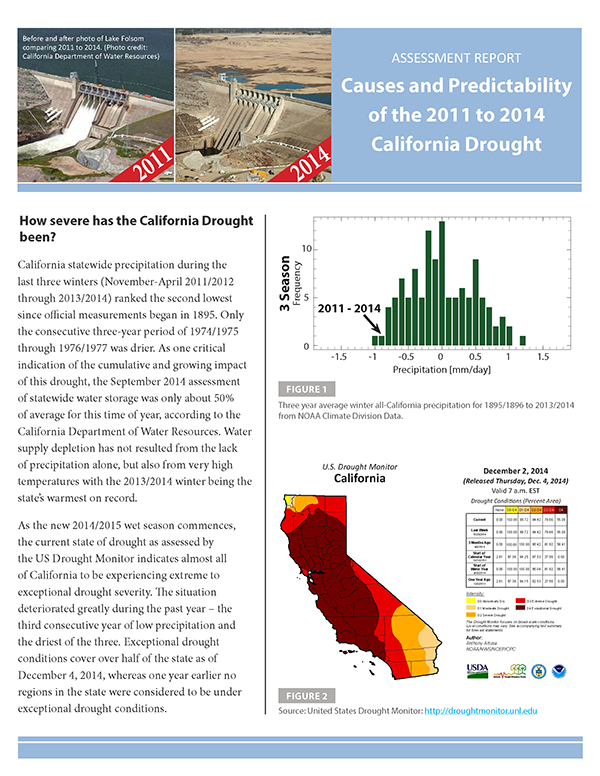 According to this NOAA-sponsored study, natural oceanic and atmospheric patterns are the primary drivers behind California's ongoing drought. 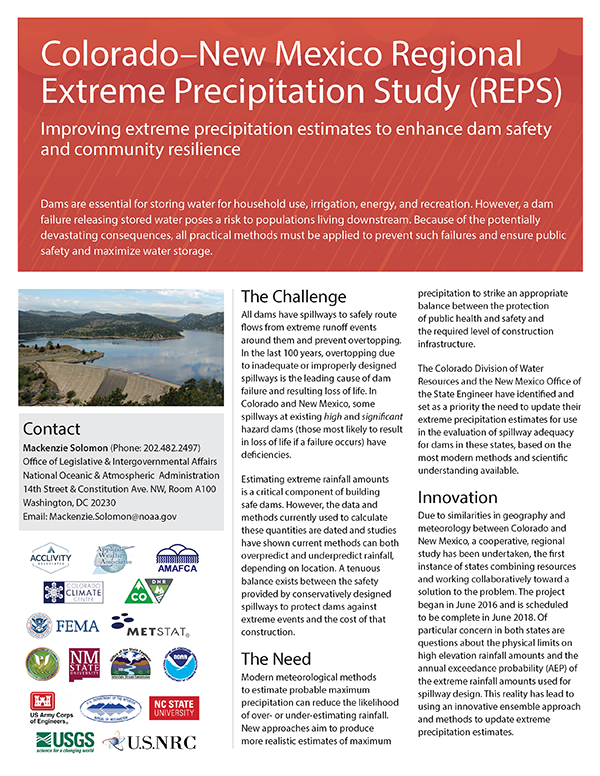 Improving extreme precipitation estimates to enhance dam safety and community resilience. 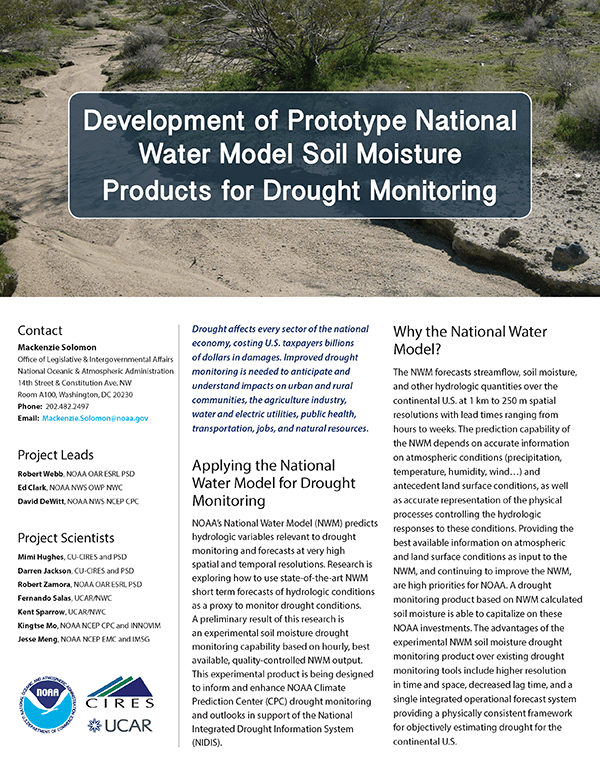 Prototype products being designed to inform/enhance NOAA drought monitoring and outlooks. 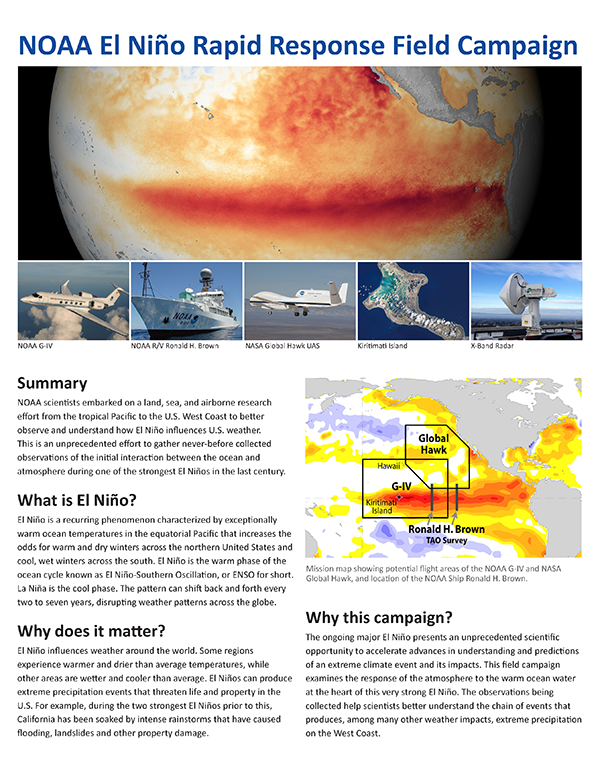 An unprecedented field campaign in 2016 to study El Niño while the event was ongoing. 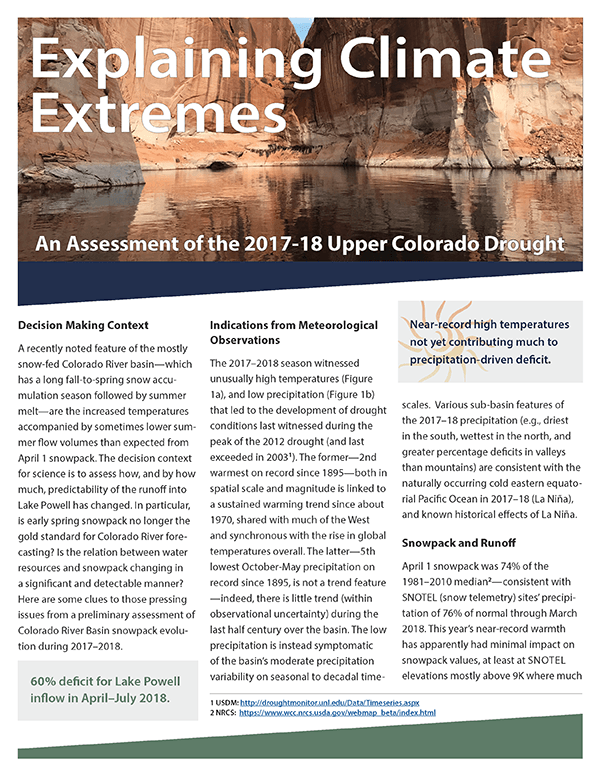 A preliminary assessment of Colorado River Basin snowpack evolution during 2017-18. 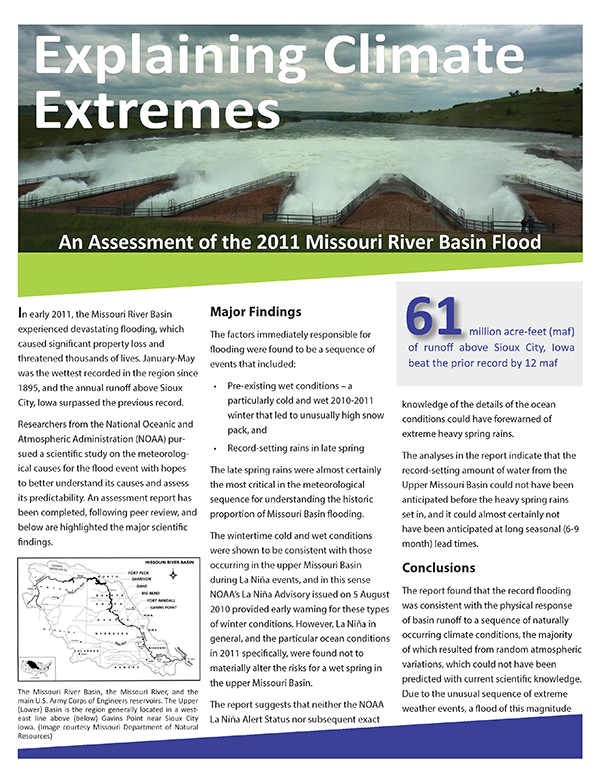 A study of meteorological causes for the Missouri River Basin flood event to better understand its causes and predictability. 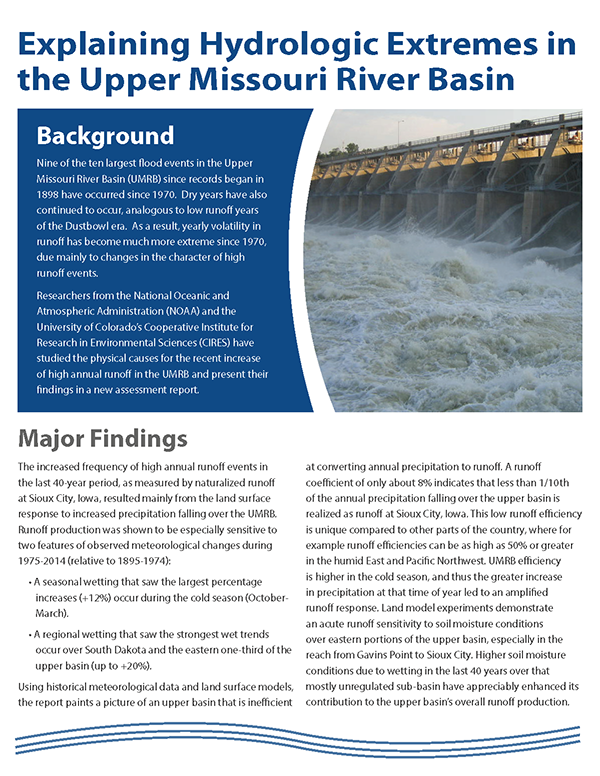 Studying the physical causes for the recent increase of high annual runoff in the Upper Missouri River Basin and present their findings in a new assessment report. 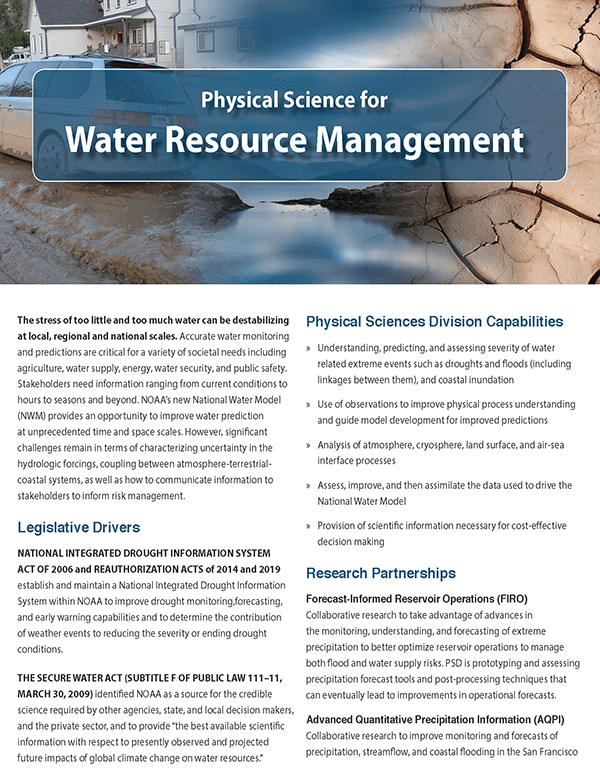 FIRO is a management strategy that uses data from watershed monitoring and modern weather and water forecasting to help water managers selectively retain or release water from reservoirs in a manner that reflects current and forecasted conditions. 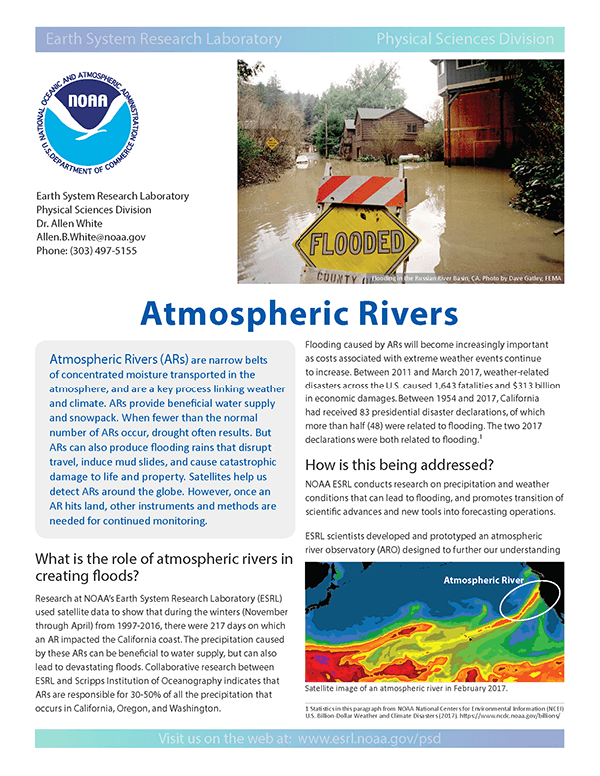 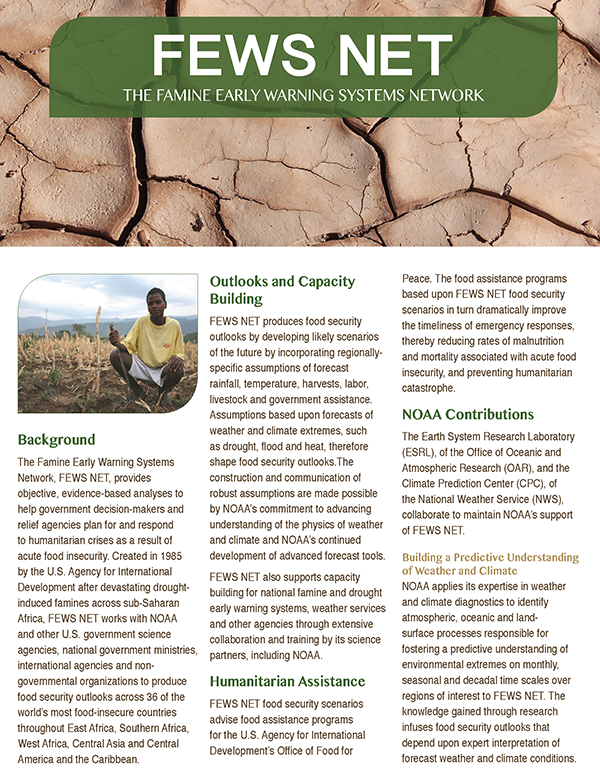 FEWS NET works with NOAA and other U.S. government science agencies, national government ministries, international agencies and nongovernmental organizations to produce food security outlooks. 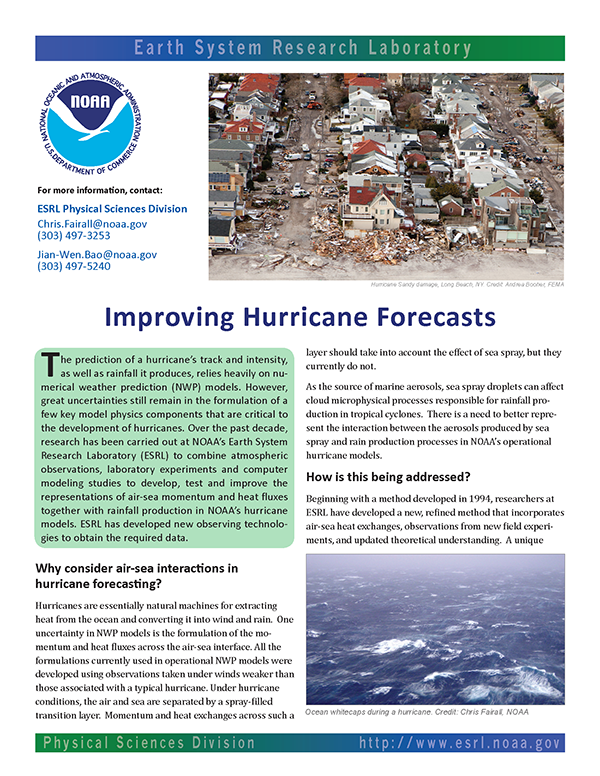 Studies to develop, test and improve measurements of air-sea momentum & heat fluxes to help better predict hurricane track and intensity. 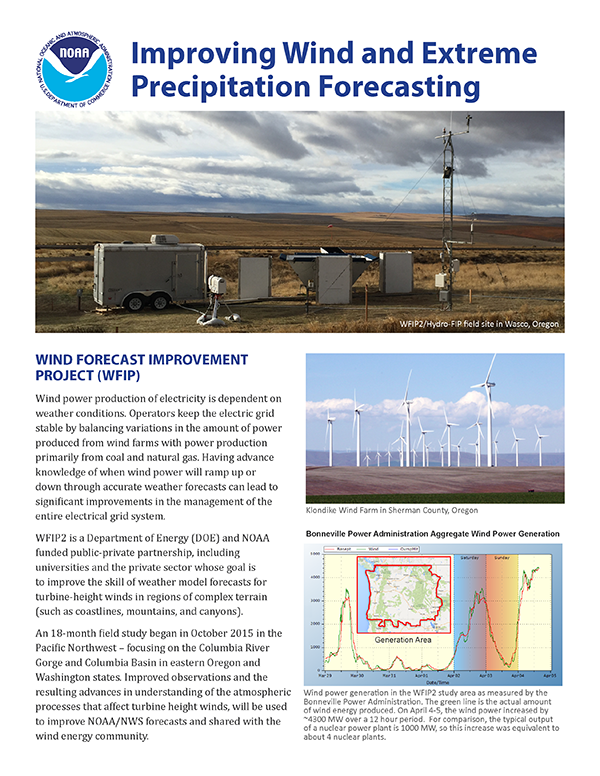 An overview the Wind Forecast Improvement Project (WFIP) and Hydromet Forecast Improvement Project (Hydro-FIP). 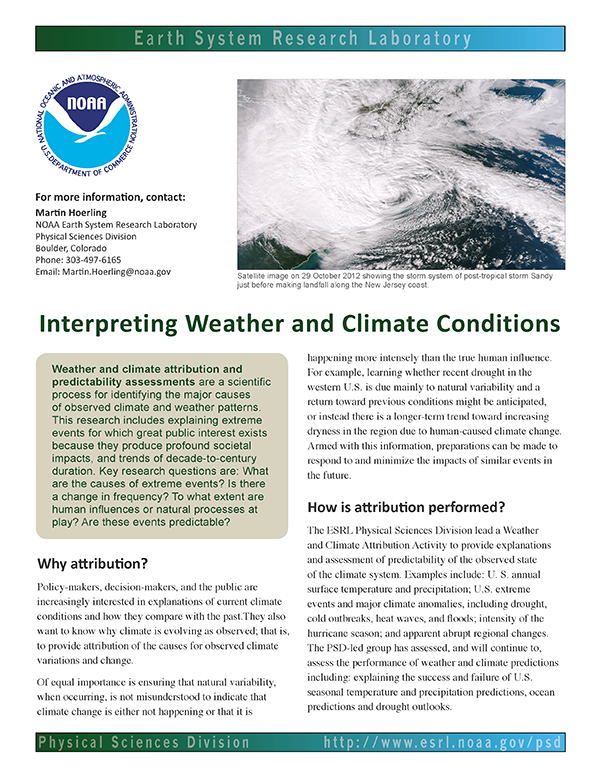 Identifying the major sources of observed climate and weather patterns. 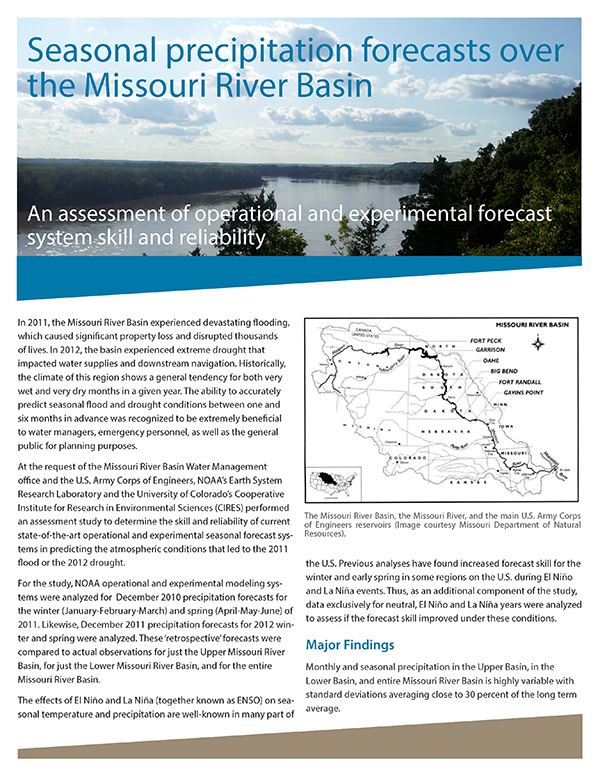 An assessment of operational and experimental forecast system skill and reliability in the Missouri River Basin. 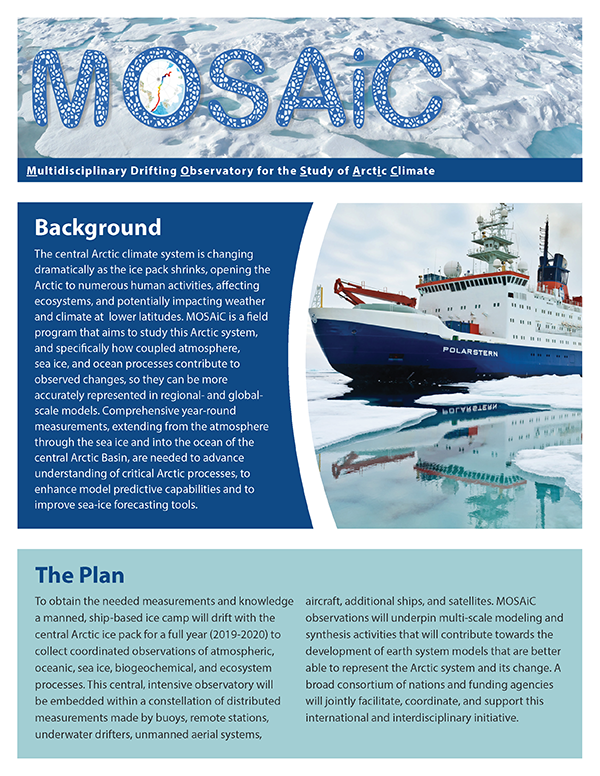 MOSAiC is a ship-based ice camp that will drift for one year with central Arctic ice pack to collect coordinated observations. 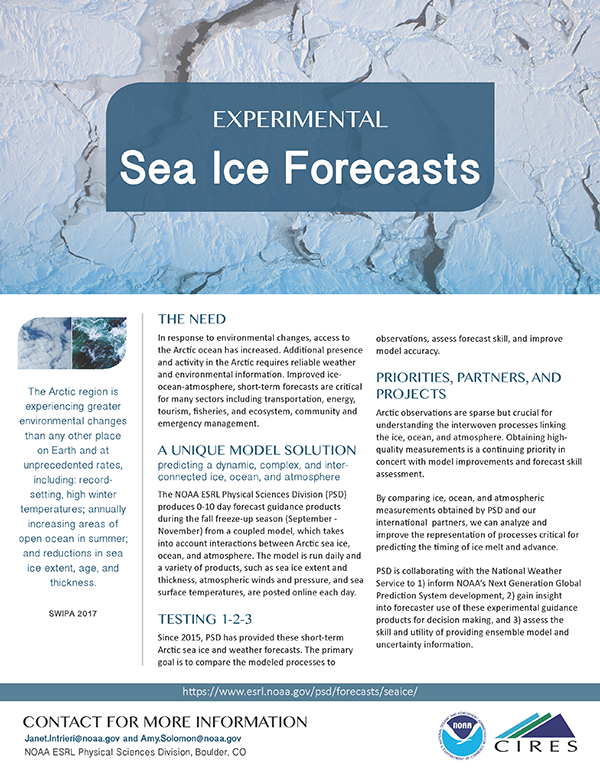 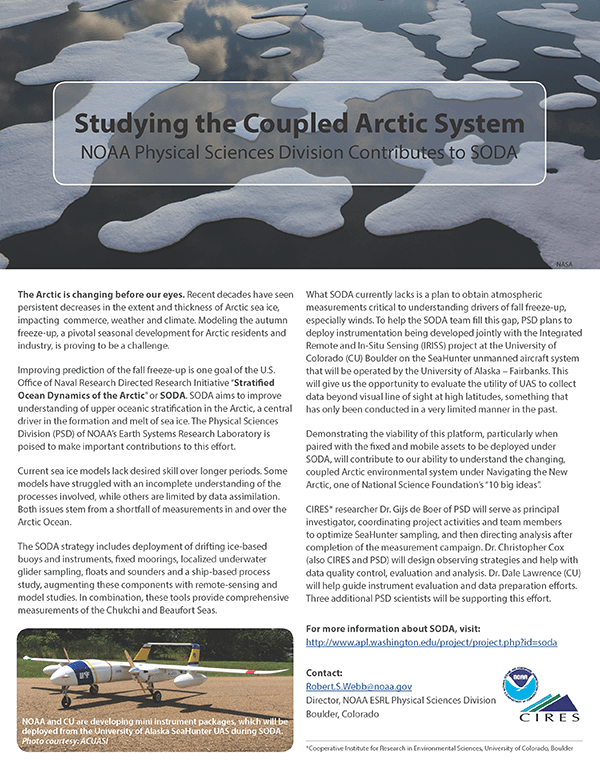 PSD contributes to the Stratified Ocean Dynamics of the Arctic (SODA) experiment.